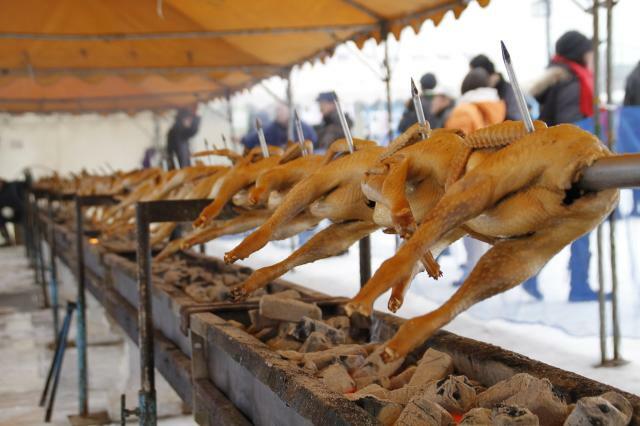 This major winter event features local ingredients, especially Hinai Chicken, which is a local specialty product of the Hinai district of Odate City. Visitors can enjoy delicious “Hinai Chicken Senba Grill” and “Hinai Chicken Kayaki hot pot,” which is very warming, as well as grilled chicken served on skewers. 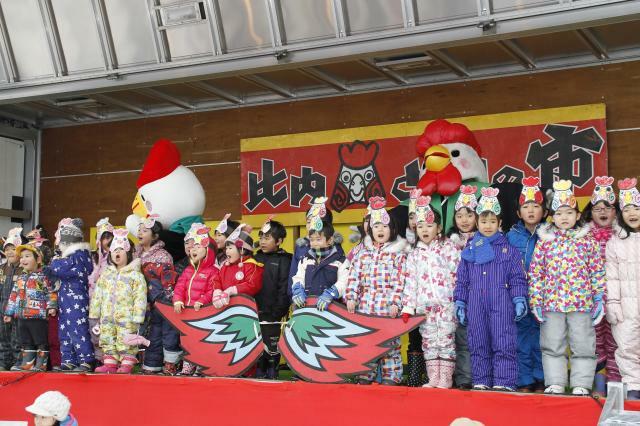 There will be on-stage events such as a “Contest of Vocalizing Hinai Chicken” in which people compete to see how long they can imitate a chicken's voice, and a “Catching Hinai Chicken’s eggs” event. Visitors can enjoy watching, eating, playing, and shopping.